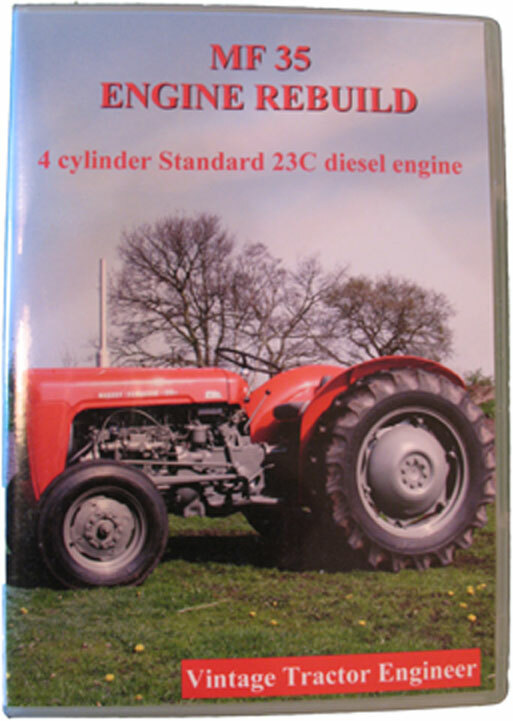 Unfortunately, ill health meant he couldn’t complete the project, so the tractor came to us. The engine and clutch were all dismantled and boxed up in the order of removal. The owner brought it to us looking a bit concerned that his tractor was in a thousand bits! What work did it need? The owner had purchased it knowing it needed a lot of work. As soon as the engine got up to running temperature the oil pressure dropped off the gauge. 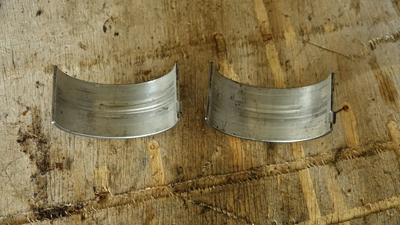 Seemingly the condition of the big end bearings (see photo below) would have been the cause of this. There is some quite dreadful scoring in these. 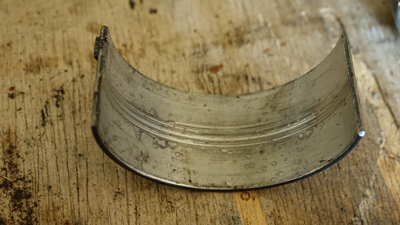 The rest of the engine components were not comparatively as bad as the bearing shells. However, they had seen some work in their time and so it is getting a full engine rebuild. 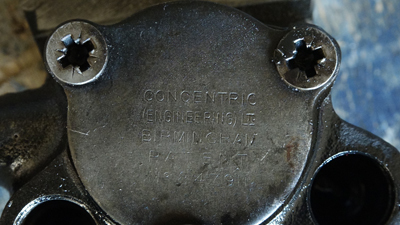 Pistons, liners, valves, stems and cylinder head re-surface. When you have gone to all the trouble to strip an engine we don’t believe in half doing the job. We want it to last a further 50 plus years! 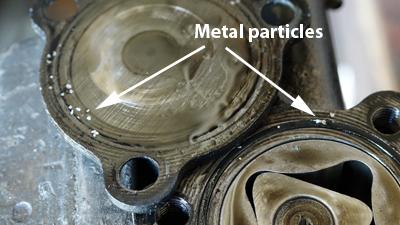 The photos of the oil pump show some metal particles lodged in there (big end bearing metal??). 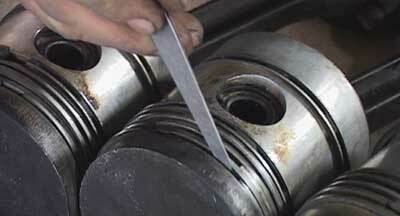 Clearance between the lobe of the inner rotor and the outer rotor was 0.006″. We couldn’t see any visible scoring or cracks in the rotors. However, the clearances were only just within specification and as the pumps are relatively inexpensive, it will be replaced. 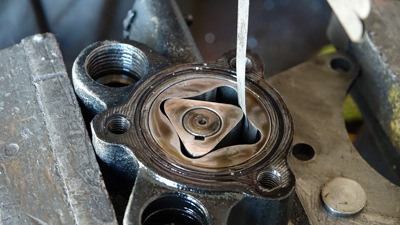 The clutch was oil stained and slipping due to oil entering the clutch housing from the gearbox, so the gearbox input shaft seals will be replaced. Also, the p.t.o. clutch wasn’t working. This is a common fault and occurs when the main clutch plate wears down, which in turn alters the adjustment of the p.t.o release mechanism – basically the gap to the three stud heads gets wider. 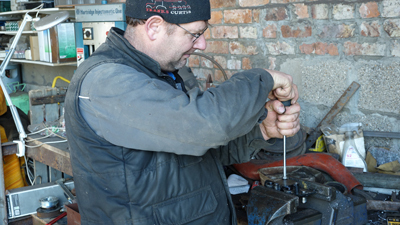 We will need new clutch components and then need to set it up correctly. Whilst the tractor is here we will also give the hydraulics a once over. Hi, I have found both the Perkins and the clutch dvds excellent. 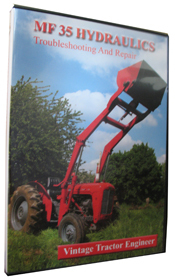 When do you think the 135 hydraulics dvd will be available. Is this diesel or petrol?